Follow the sign to Reykholt (road 518). Reykholt is the place where Snorri Sturluson used to live. He is probably one of the most famous Icelanders (1179-1241) ever, the first writer in the modern sense of the word, chieftain, warrior, scholar and poet. 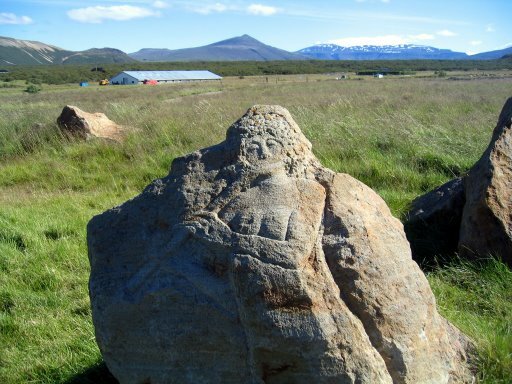 A museum has been opened at Reykholt, a place of great interest for those who are interested in Icelands history and ancient lore. Continue through a dreamy landscape of wilderness and colorful mountains until you come to a wondrous place on the bank of river Hvítá. 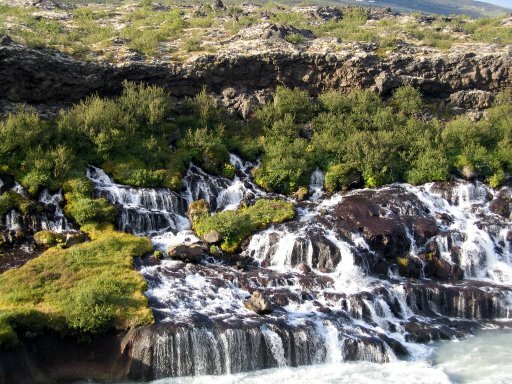 Hraunfossar, an astonishing sight. 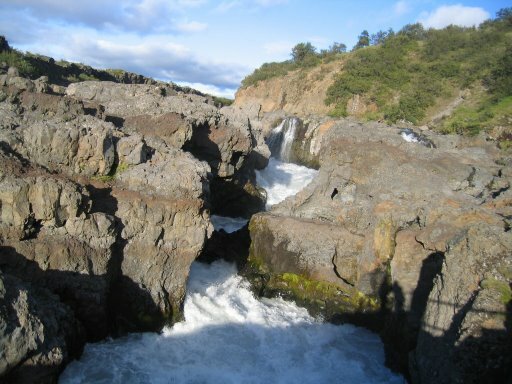 Rivulets of clear spring water rushing out of the lava, falls without a river. There is a chapel at Husafell, and a small churchyard. This is where Snorri is buried. An ancient farmhouse has been excavated recently. A local sculptor has embellished stones with profiles of musicians. Isnt this a beautiful flute player? 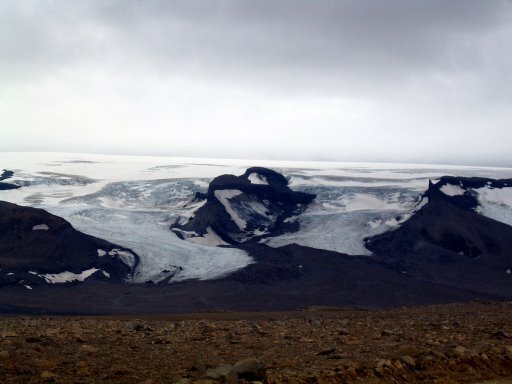 When you leave Husafell, you might want to have a go at the Kaldidalur track as you return to Reykjavík. The going is rough, but the desolate and eerie landscape makes it worthwhile.